"...the sequel has everything that made the first charming and lovable." "...this book is even better than the first: It has real soul." 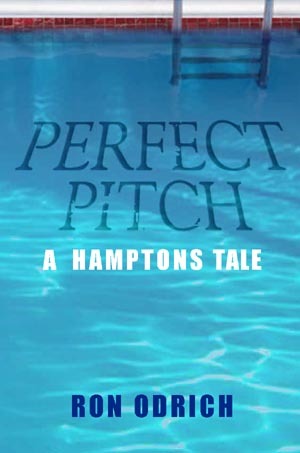 "...a satisfying and suspenseful crime novel and a love story to a marriage, life in the ER of a small hospital, and a beautiful part of the world, loved and described lovingly." It’s three years later and Dr. Charlie Davids thinks he’s said goodbye to Sal and his days as the ER doc on call for the Mob. He has married Patty, and they have settled into a quiet life of domesticity. But Charlie can’t seem to put the past behind him, and he soon finds himself in another round of trouble. Faced with hostile visits from menacing strangers and repeated attempts on his life, Charlie must free himself from the underworld once and for all. This time, however, the circumstances have changed, and Charlie doesn’t have to face the danger alone. Bolstered by a network of loyal friends, Charlie takes on both the Mob and the FBI in this next installment in the Dr. Charlie Davids series. 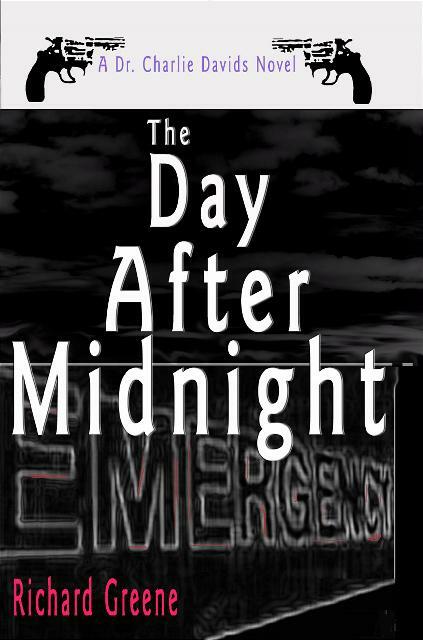 Richard Greene’s second novel, The Day After Midnight, is a crime novel that is original and heartening as it explores issues of individual accountability, social responsibility, and living life to its fullest. "Lowenstein has a flair for storytelling…"
"Engaging and poignant…this collection of medical musings…are exactly the sort of thoughts you’d hope would be going through your doctor’s mind." From the first words of Lawrence J. Henderson’s opening lecture, “It all begins with water,” Aaron Weiss was riveted by the unconventional young professor’s way of thinking. 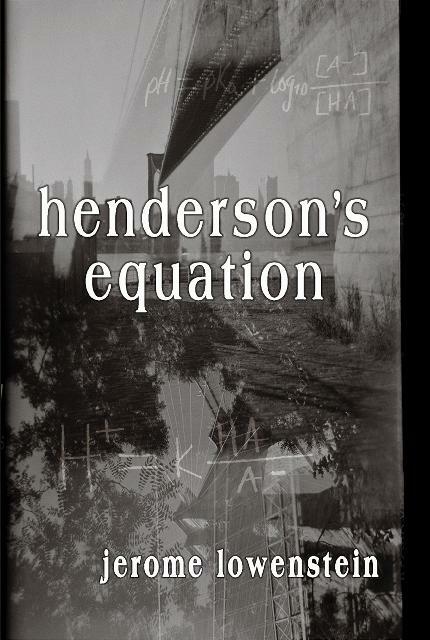 Henderson’s quest for a greater understanding of the world had led him from the simple study of acid-base equilibrium to an examination of cosmic questions related to the “fit” between the properties of the most basic elements–hydrogen, carbon and oxygen–and how society, viewed as a regulated system, bears remarkable similarities to this fit on a grand scale. A systems theory advocate, Henderson’s studies and writings gave rise to the concepts of dynamic equilibrium and to the Gaia hypothesis, which views the earth as a vast organism. As his assistant, Aaron is witness to Henderson’s development of these theories. 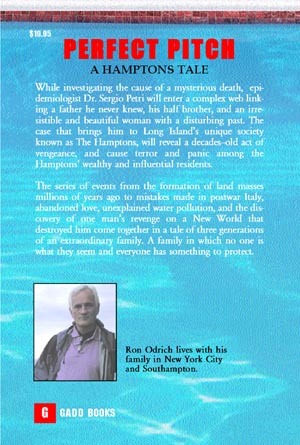 Away from New York’s Lower East Side for the first time, Aaron is forced to confront the differences between his own world, with its strong family ties and deep roots in Eastern European scholarship, and the world of Dr. Henderson, a leader of the Harvard establishment and one of the Boston Brahmins. The story is set against the background of the powerful social and intellectual forces of the time: World War I, the rise of fascism, the Sacco-Vanzetti trial, and the growing anti-Semitism at Harvard and elsewhere. Dr. Jerome Lowenstein’s rich career in academic medicine has been devoted to teaching, research and the care of patients. He is the author of Acid and Basics, Oxford University Press, and The Midnight Meal and Other Essays About Doctors, Patients and Medicine, University of Michigan Press. Dr. Lowenstein’s interest in acid-base physiology and in the nature of relationships between physicians and patients made Henderson an ideal subject for the study of the relationship between his own ideas and those of this intellectual leader in science and medicine. Dr. Lowenstein is publisher of the Bellevue Literary Press and Editor for Nonfiction of the Bellevue Literary Review. 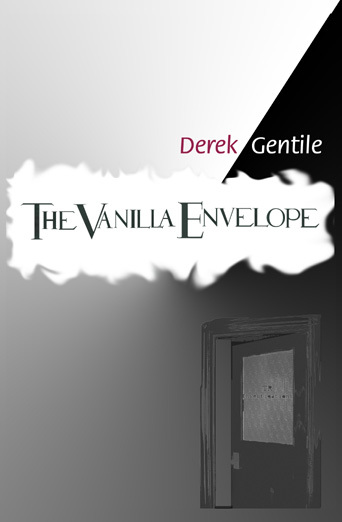 The Vanilla Envelope is a traditional murder mystery with an atypical detective. Tony Rizzuto is not a hard-boiled PI; he practices yoga, eats only cereal topped with a bizarre variety of fruits and vegetables, and feels true remorse when forced to resort to violence. Soon after he’s hired to investigate what appears to be a straightforward theft at a prominent nonprofit venue, the prime suspect turns up dead. So, Tony uses not force, but charm; not shadowy underworld sources, but former girlfriends, to get to the bottom of this increasingly complicated case. Derek Gentile is an award-winning journalist for the Berkshire Eagle. He is the author of eight nonfiction books including The Complete Boston Red Sox, The Complete New York Yankees, and a history of professional basketball: Smooth Moves. This is his first novel. In addition to the delicious dishes that come directly from the Castle Street Café menu, Chef Ballon has included traditional favorites from around the world. All the recipes have been carefully adapted for the home chef and include instructional photographs of the preparation and handling of ingredients. 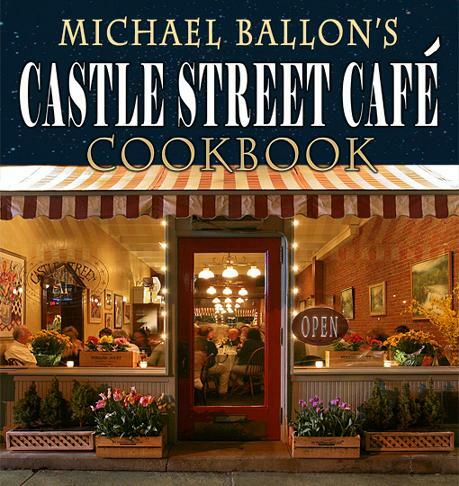 Chef Michael Ballon worked his way up to Executive Chef at top NYC restaurants such as Lavin’s, Sofi, and Wood’s. In 1989 he left the city to open his own restaurant in Great Barrington, Massachusetts. From the day it opened, The Castle Street Café has received rave reviews. Ballon is also the Roundtable Chef on WAMC Public Radio. Ruth Bass has written a rich, intimate, engrossing portrait of Rose—a child thrust into the demanding adult life of her 19th century New England homestead. Beautifully written, flowing with memorable characters—what a wonderful pleasure to read. You’ll just want to keep reading and reading this vividly told story of three motherless children: Abby and Charles and Rose, bereaved and beset but trying to “hold up” as best they can. The setting is richly evoked; the characters are utterly persuasive; and issues of loss and mourning, friendship and love, and the complexities of family life are explored with sensitivity and wisdom. 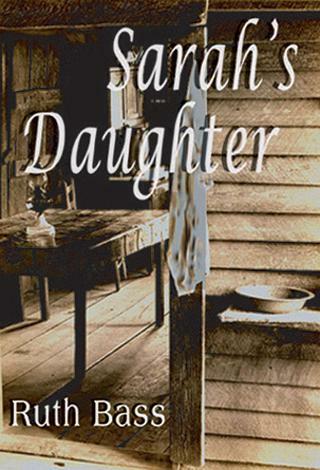 Big sister Rose, the spunky heroine of this compelling tale, may well become a classic of young-adult literature. Very Bad Day and The New York Times bestseller Necessary Losses. This Rose is really a rose! Ruth Bass has managed to illustrate sorrow and gravity as they really do exist alongside humor and joy. It’s wonderful to find a book you can just sink into. In order to understand why abortion must be kept safe, legal and available we must look at many of its aspects as they affect real people we know and love. 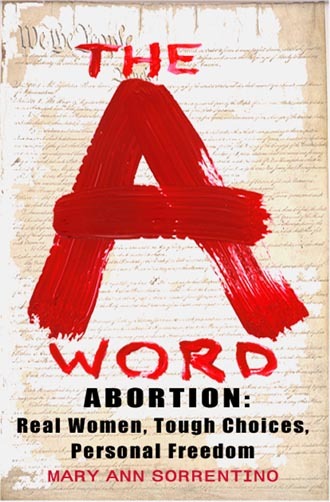 It is necessary to face the discussion head on by stripping the issue of its mystery and baggage, and shining a light on abortion as a choice relatively few women actually choose, but one which most Americans do not wish to lose. The most rational way to approach this may be to look at the personal side of that discussion and examine the rhetoric through a filter of actual human experiences. These are people you know. So this is about them, and the issue that affects all of us in the most personal and intimate way possible. Dr. Charlie Davids is a regular guy. He survived a decade of medical training and is now working in the Emergency Room at a small rural hospital in western Massachusetts. Life is pretty good for Charlie. He likes his job. He has enough time to go running, to see concerts and to enjoy the outdoors. And he has just met Patty, the woman with whom he wants to share his life. But everything is about to change. Returning home one evening, he finds a balding, overweight mobster named Sal waiting in his living room. In semi-retirement, Sal handles the the employee health department for the local organized crime family. Sal tells Charlie that he has been chosen to be their new company Doc. Now Charlie’s time is not his own, and his life is in danger. 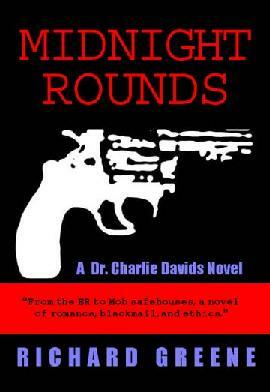 Midnight Rounds is the story of Charlie's struggle to extricate himself from the Mob, and regain control over his own life and protect those he loves. In order to do this, trying not to violate his personal and medical ethics, he will finally stumble upon the only option open to him. Gadd & Company Publishers, Inc. is located in Great Barrington, Massachusetts. Please browse our catalogue of books today. Order from our online store, or by phone @ 413.528.8895. Contact us today for more information on our fiction and nonfiction books.